F This Movie! : It's F This Movie Fest 3! It's F This Movie Fest 3! 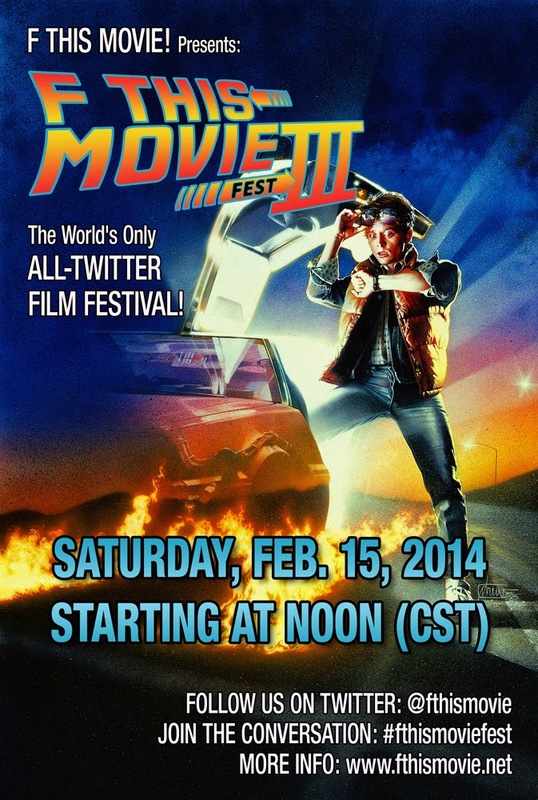 Today is F This Movie Fest 3, the world's only all-Twitter film festival. We're kicking things off at Noon CST with Pee-wee's Big Adventure and closing it out tonight with Back to the Future, the best movie ever made. Remember to follow @fthismovie for the cues on when to start the movies, and follow the #fthismoviefest hashtag to join the conversation. Check here for more information on how to participate. We've worked really hard to make this as good as it can be, and we REALLY appreciate all of you who have been tweeting, posting on Facebook and talking it up. Everyone's excitement has meant the world to us. This is probably our favorite thing that we do all year here at FTM, so I hope you'll join us -- whether it's for one movie or ALL FIVE. We're excited to watch a bunch of really fun movies with a bunch of really fun people. Down here, this is our time. OUR time. Please don't disturb my friend. He's dead tired. Paging Mr. Herman. Mr. Pee-wee Herman. Gotta say, this was one of the best days I've had in a while watching movies. Even though I was alone watching, it felt like I was in the room with you guys. I had never seen the first three movies before (watched bits and pieces of Pee-Wee's Big Adventure when i was a kid), and boy did I enjoy them. Thank you guys so much for making this happen, every F head that watched from their homes now feel like a much tighter community than ever before. We're so happy to hear you had a good time. The "we're all in the room" is a sentiment that came up again and again as we recorded our post-fest podcast last night, so I'm glad we're not the only ones feeling it. Great to have you with us, and we hope you'll stick around! Yeah, I agree. You put on a good party Patrick. It was a lot of fun.